Check out our full line of RV covers for your recreational vehicle … and more! 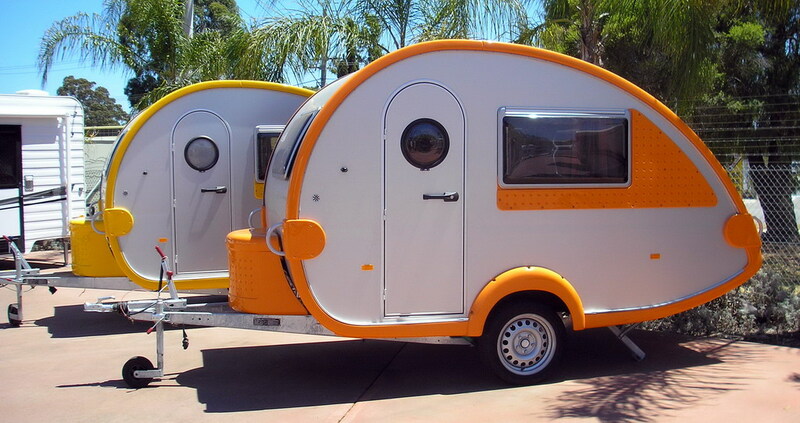 What Is A Travel Trailer? How Do I Protect My RV? Metal barns are perfect for your storage needs on the farm. Steel barns can easily hold livestock, tractors, tractor supplies, feed, hay and much more! Here is the new steel color chart for 2015. 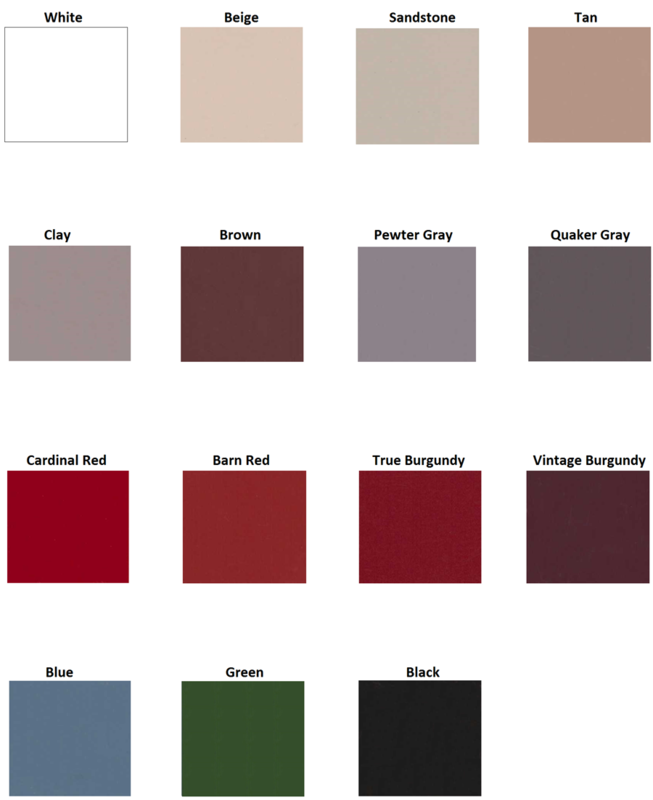 When an order is placed for a new steel garage or carport, this is the color chart that is now being used. Notice that there are new colors which have been added to the choices for metal carports and garages! So how can you protect your RV or travel trailer from rain, snow, mildew, wind or mold? You see them driving all over the freeways, interstates and highways in many states; whether you see travel trailers or RV homes, pop-ups or 5th wheels. People love to travel from cold places like Iowa, Illinois or Wisconsin to warm places like Florida or Georgia in an RV or travel trailer. Have you ever wondered where people store these fine RVs and a home away from home? A carport or garage, otherwise called an “RV cover” is a great place to keep a travel trailer. An RV fits nicely under an RV cover designed just for that purpose. RV covers should be taller than typical carports and protect the top and sides of an RV so that it does not sustain any water damage or acquire moisture. Let’s face it, we all want to store our travel trailer or RV without it getting that awful and all-too-familiar mold or mildew smell. So how do I protect my RV? Well, a metal carport is an important step to protecting your nice investment. Many places charge to keep your RV parked or to store your RV when not in use. What if you had a nice cover for the top and sides of your RV? This way, your RV or travel trailer will not have water, mildew or mold damage. Check out our RV cover page for more information on covering your RV or travel trailer. This camping season, you will be good to go with a sturdy storage structure from GPB, Inc. This RV cover is just a tiny sample of the MANY structures we offer to cover your RV, camper, travel trailer, camper or pop-up. You can get instant pricing online, 24 hours a day by visiting this page. Image copyright: Permission is granted to copy, distribute and/or modify this document under the terms of the GNU Free Documentation License, Version 1.2 or any later version published by the Free Software Foundation; with no Invariant Sections, no Front-Cover Texts, and no Back-Cover Texts. Carports for heat and cold protection keep your stuff out of the sun and snow. Protection from the elements is important because you can prevent sun damage, leaks, snow load problems and wind damage. Metal carports private protection from the elements including: Sun damage, paint damage, leaking roof on vehicles, cracked upholstery, baking sun, searing wind, heavy weight from snow and ice and much more. There are many uses for metal carports and steel buildings that people have found productive. Carports are great for covering your valuable items as well as protecting your privacy. A closed-in carport is good for shade, sun and wind protection as well as privacy. You can protect the space where you park your boat, camper or riding lawn mower. Imagine being able to get in and out of your car under a cover instead of outside in the rain or baking sun? Your car or truck cost money and you want to protect that valuable money you have invested in that vehicle. Why close in your home garage and leave your car or truck out in the weather? What if you could have a closed in garage and a covered place to park your truck or car too? Some people like to have a carport with the sides and front enclosed for privacy. People do not always want neighbors and see and know things about when they come and go. Do you rent out part of your house? Give your tenant some where to park their car! 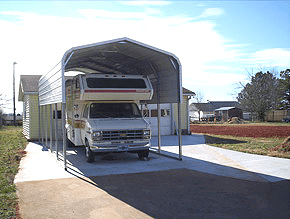 Cover your travel trailer with a metal carport or steel building. Instead of leaving your pop up or fifth wheel out in the rain and snow, cover it and protect it from the weather and mold or mildew problems with a steel carport or metal building. Honestly, who wants to use a moldy camper? You can prevent mold and mildew and keep it out of your camping plans by covering your RV or camper with a metal carport. There are many uses for our inexpensive yet sturdy storage structures. Click or call us today for instant pricing or a free custom estimate to protect your belongings!